So you’ve decided to start your own business! Congratulations! This can be a very exciting time, but very overwhelming as well. It’s hard as a new business to gain success. How do you keep your business going and make the right decisions for your overall success? Whether you’re just starting your own business or you’re just looking to get out of a rut with your current business, it can be very overwhelming going it alone. This is where a business coach is invaluable to both you and the success of your business. This person can offer you an expert opinion as he or she has a great wealth of experience, where you do not. Your business coach can help you reach your full potential and help you succeed. 1. You are overwhelmed and need motivational support. Running a business can be daunting and you may not know what to do next. You may be feeling discouraged and overwhelmed. It’s a lot of work to run a business and no matter how much self motivation you have, it’s helpful to have some outside motivation as well. A business coach can be just what you need to push you and help you get out of your own way. 2. You need help from someone who knows your business well. Whether you’ve been in your industry for years or are just starting out, you can greatly benefit from talking to someone who knows your business inside and out. Not only does a business coach know your business, he or she will also be focusing on you alone. By having the coach’s undivided attention, you can really work through any problems you’re having and get to the root of the problem or the strategy to move forward. 3. You aren’t able to get the results you want. Whether you’re starting out or have owned your own business for a while, you may think you know the right way to grow your business. Then you find that it isn’t working. You need someone who is more objective that can give you advice. A business coach can help increase ROI, remove obstacles and increase active engagement. 4. You know what to do, but aren’t getting it done. You may feel like you know what to do, but you’re hesitating for some reason on getting it done. You may need someone to challenge your assumptions and help you translate your ideas into tangible steps that you can take to make it happen. 5.You want to save both time and money. You may already be thinking that you could use someone to help you figure out the best way to implement your business and doing it within your budget. Going it alone can cause you to lose both time and money. This can be avoided by working with an excellent business coach. 6. You will have someone who isn’t afraid to correct you. Your employees may be too afraid to speak up, but a business coach isn’t. Your business coach won’t be afraid to confront you and tell you when you’re doing something wrong. If he or she sees you doing something that won’t work, you’ll know. The coach knows how to make a business successful and will help you take your business to that next level. 7. You will have many more networking opportunities. When you have a business coach out in the world being your advocate, more networking opportunities will present themselves. You will be able to meet more successful people and help your business grow even better. Your coach knows you and can speak about your many attributes to his or her large network. 8. You will be able to make more money. When you have a great business coach, you’ll be able to make more money. Your coach will help you find a winning strategy, which will bring you both success and more money. 9. You will be held accountable for the important things. Having accountability to someone else is a great way to motivate yourself as you don’t want to disappoint that person. It’s the same methodology for having a workout partner. You’re both working toward the same goal and need to hold up your end. A business coach can help you be more effective by helping you see the most important tasks that need to be accomplished. This is one of the greatest benefits of hiring a business coach. Not only will you have confidence in this person, you will develop more confidence in yourself. By having someone to bounce ideas off of and learn from, you will learn more about your business and what you need to do to be successful. Your business coach can use the lessons he or she has learned to help you not make the same mistakes. You gain the experience that your coach has had without all of the heartache that went along with it. It’s easy to see why hiring a business coach is a great idea to help you move yourself and your business forward. Collaboration in business is a game changer and this will help you take your business to the next level. Robert J. Dianetti is the owner of Team Dianetti, a professional business coaching and training organization located in Cuyahoga Falls, Ohio. 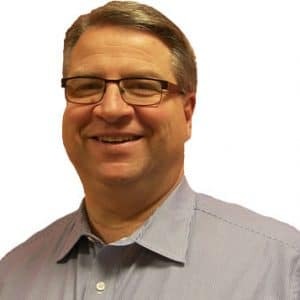 He is an Authorized YB 12 Corporate Coach, Everything DiSC® and The Five Behaviors of a Cohesive Team Authorized Partner, and a Registered Corporate Coach through the Worldwide Association of Business Coaches. He is also an Associate Fellow with the Society for Technical Communication. Bob Dianetti frequently blogs for Team Dianetti .